The 26th annual Fremont Fest is on tap this weekend. 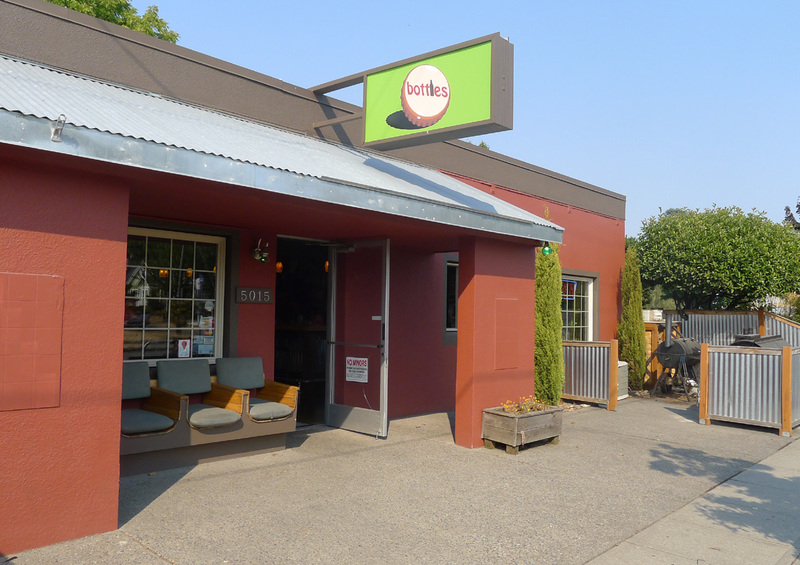 Sponsored by Beaumont Business Association, they'll close down the strip of NE Fremont between 42nd and 52nd Avenue and turn it into a pedestrian mall. There will be a parade, sidewalk vendors, arts and crafts, games and more. Craft beer is naturally involved, which I'll get to momentarily. This festival does a nice job of promoting the business and human community in the Beaumont neighborhood. Businesses in the area include: Beaumont Hardware (old-school hardware store), Green Dog Pet Supply (new-age supply), Grand Central Bakery (just opened where Saluna and Fife used to be), Pizzacato, Jim and Patty's Coffee, The Alameda Cafe, Amalfi's Restaurant, Beaumont Village Market, Noho's Hawaiian Cafe and others. I left out the beer-centric businesses on purpose. But don't underestimate their contribution to the Beaumont economy. 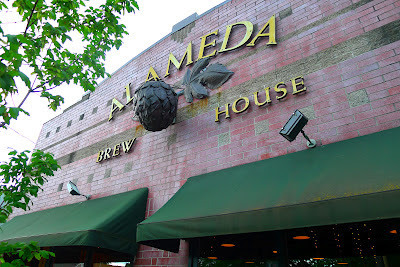 Alameda Brewing has been a sort of anchor in the middle of that strip for years. Now you've got Bottles NW a short distance away. And don't laugh about the nearby taverns Fremont Ridge Inn and McPeet's Portland Pub, both of which are expanding their horizons under new ownership. Of course, you're wondering how craft beer is connected to the Fremont Fest. Fair enough. They're putting together an evening Pub Crawl that will include stops at Alameda, Bar Wares, Bottles, McPeet's and others. The price of admission is $10, for which you'll receive an event mug (similar to the OBF mug) and 10 tokens you can use in a variety of ways. Pretty good value, it seems. Need more info? Contact organizer Brant Kunze here. This Pub Crawl is significant. It serves as yet another reminder that craft beer occupies an increasingly important role in social events involving community. Once upon a time not so long ago, it would have been unfathomable for an event like the Fremont Fest to have a pub crawl. Now, it's almost mandatory. Craft beer is mainstream. 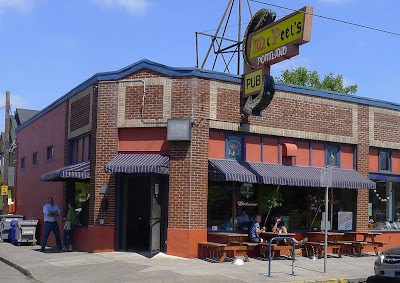 I'll have more to say about McPeet's and Fremont Ridge in another post, but they are clearly part of a trend in which grubby taverns evolve into something better. The combined tap lists at these two places recently included beers from Boneyard, Double Mountain, Laurelwood, Fort George, Epic, Anderson Valley, Caldera, Good Life, Firestone Walker, Terminal Gravity and Upright. That's not your dad's tavern. Not by a longshot. If you're one of the macro big boys watching this unfold, you have to be a little nervous. When they're pouring craft beers in places that formerly poured crap macro, it's a problem for Bud, Miller and Coors. We're probably seeing this trend more clearly in Portland than most places, but it is an emerging reality...and it helps explain the declining market share of the macro brands. Here's to dominoes!